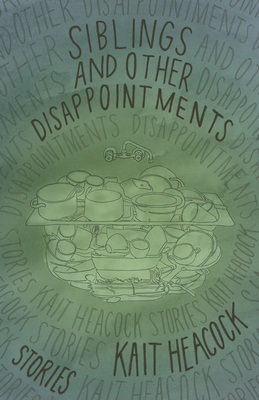 Kait Heacock delves into the vulnerability of relationships and the various ways families fight, forgive, or fall apart. Her debut collection of twelve short stories follows a long-haul truck driver, a mother waiting for the rapture, newlyweds on a trip to the mountains, a father who competes in food-eating competitions, and an array of other characters scattered throughout Central Washington, down to Nevada, and up to Alaska. Each story explores themes of loneliness and isolation and how those exist both apart from our families and within them. Siblings and Other Disappointments unpacks the myriad meanings of the word family and the ways in which the bonds of those units are forged, dissolved, or simply maintained. Kait Heacock grew up in the same small town as her idol Raymond Carver--she hopes this means something. Kait is a feminist writer and book publicist living in Brooklyn, New York. Her work has appeared in literary journals, magazines, and online, in outlets such as Bustle, DAME Magazine, Esquire, KGB Bar & Lit Mag, Portland Review, tNY.Press, Vol. 1 Brooklyn, and the Washington Post. Kait studied creative writing at Seattle Pacific University and earned her master's degree from Portland State University, where she worked for Ooligan Press. Siblings and Other Disappointments is her first book.